Looks like they are sheltering from the sun. Very pretty Greg. Water warm colors reflection enhances the beauty of this tasteful image. Title matches very well with composition. Marvelous capture, reflection and composition, Gregory. Excellent capture. 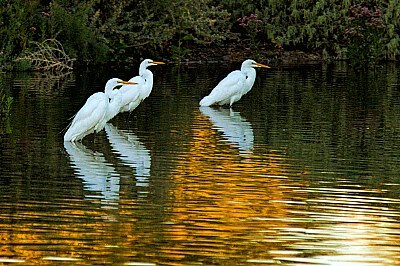 Beautiful birds great reflection.Very pleasing to the eye.